details of incidents and accidents. Pre-shift inspections, operator rounds and other safety inspections ensure timely, accurate accounts of inspections and deficiencies detected before operating any type of heavy equipment or industrial equipment in the mining site. They are fundamental in monitoring performance over time against similar equipment, giving the possibility for a detailed ROI as well as trend analysis. This also allows maintenance and management the freedom of checking historical performance to better understand the severity, nature and background to why a fault could have occurred. As safety inspections and equipment maintenance are an important aspect of the operations of any mine, electronic logbooks represent an obvious choice for mines who want to modernise their mining operations and follow safety regulations and legislations. 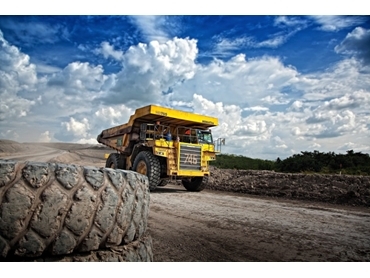 Keeping track with equipment performance; minimizing breakdowns; managing deficiencies; and especially minimising the risk of injury are critical to the efficiency of any operation, let alone the large scale of many mining processes. Many Mines maintain printed (paper based) logbooks that are completed by operators at the beginning of their shifts or at periodic intervals. 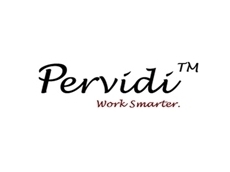 Pervidi’s Electronic Logbooks replaces the paper logbooks by allowing the operators or inspectors to record their pre operations, operator rounds, pre-shift and post-shift inspections using Pervidi’s easy-to-use Safety Inspection App. The inspection app can be downloaded on any consumer or industrial mobile device, running on iOS or Android operating systems – it’s also accessible on any rugged and intrinsically safe mobile devices available. Virtually no training is required; the Pervidi safety inspection App walks the user through questions/answers/tasks and records the pre-shift observations electronically. Thanks to the power of the mobile device, the user can take advantage of certain functions such as the camera and touchscreen to take pictures and annotate them. Other features include speech-to-text and access to reference material in real time (e.g. user manuals, drawings, images, induction information) as well as standardised response and easy input checklist sections. There are also many other functions that ease the inspection process such as alerts to management when periodic inspections are NOT completed, or automatically suggested real- time corrective actions when certain deficiencies are recorded. This allows inspectors and superintendents to address the issue onsite, at least to a certain extent which prevents further at times. Such automatic corrective actions can be sent automatically to any other system like Supervisory Control and Data Acquisition (SCADA). All reports and logs are automatically filed and categorised on the hosted system, either run in-house on private servers (on premise) or via the cloud (SaaS). All logbook records are organised in a logical way to ensure they can be accessed quickly and relate to a certain category, activity or asset and can be analysed via any business Intelligence (BI) systems and or Asset Management Systems. This also improves the speed and ease of compliance, updating regulation to required activities and seeing overall company performance. Properly inspecting and recording electronically equipment is a key part of keeping mining workplaces safe, maintaining the compliance, and improving productivity. But to ensure inspections and other mining activities are done as they should be, you need an electronic safety inspection app.